This single serve skillet dinner is ready in 10 minutes. Quick, easy, and no special ingredients. This is a perfect meal for those times you are “hangry.” This recipe is low carb, gluten free, keto friendly, and a Trim Healthy Mama S Fuel. I recently took a poll on my Facebook page, asking what types of recipes my readers are interested in seeing. “Easy supper ideas” was the winner by far! And I totally understand! 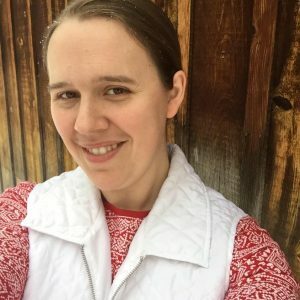 The longer I go with Trim Healthy Mama, the more I am trying to simplify it. It can be overwhelming at first, but if you stick with it, you find out that you don’t have to make it difficult! In fact, the Trim Healthy Mama plan CAN be done without any special ingredients! You can totally do the plan with simple ingredients that can be found at your local Walmart. The special ingredients make it FUN, yes, but they are not necessary. As I mentioned, I have been trying to simplify things in my own life, and this Sausage Alfredo is one of the by-products of that simplifying process. For lunches, I generally have leftovers. However, as my children are growing, we don’t have as many leftovers as we used to! So I have to think outside the box of leftovers a bit. I usually make this as a single serve recipe, but you could easily multiply it to make it large enough to feed a family. They are already cooked, so you just need to re-heat them. That helps make this single serve recipe FAST! (I purchased these at Walmart. There is 1 gram of sugar per sausage, so this is not a purist approach here, but they work ok for me. You can use your favorite sausage in place of these.) You could even use a chicken sausage to significantly reduce the fat and calories if you wish! 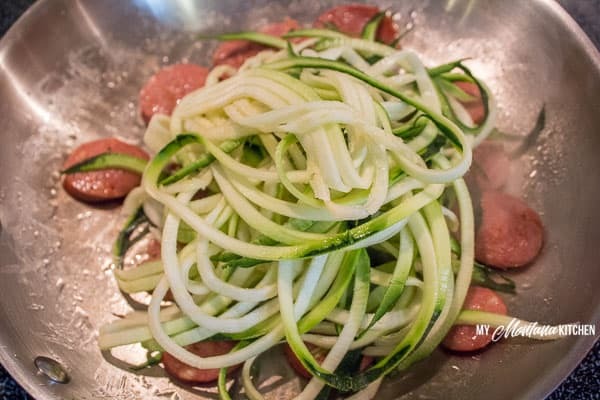 Zucchini noodles are so good, and they are a snap to make with a handheld spiralizer. I have one similar to the one below, and it has lasted me several years. You can have zucchini noodles in less than a minute! If you like Alfredo, be sure to check out my other Alfredo recipes. 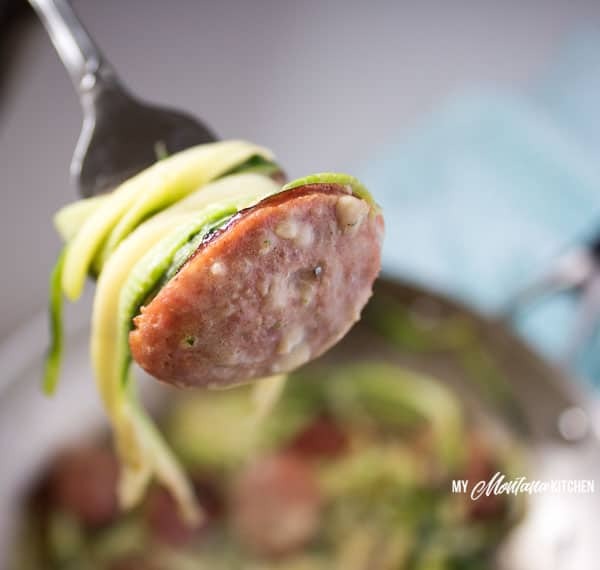 So, what do you need for this Sausage Alfredo with Zucchini Noodles? This single serve skillet dinner is ready in about 10 minutes. Quick, easy, and no special ingredients. This recipe is low carb, gluten free, keto friendly, and a Trim Healthy Mama S Fuel. 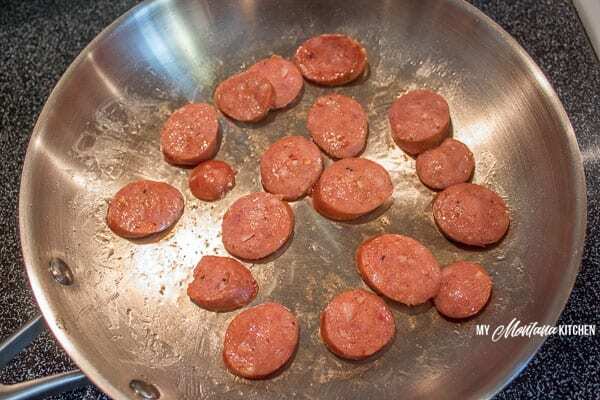 Slice your sausage and pan fry with garlic in the skillet until the sausage begins to brown. 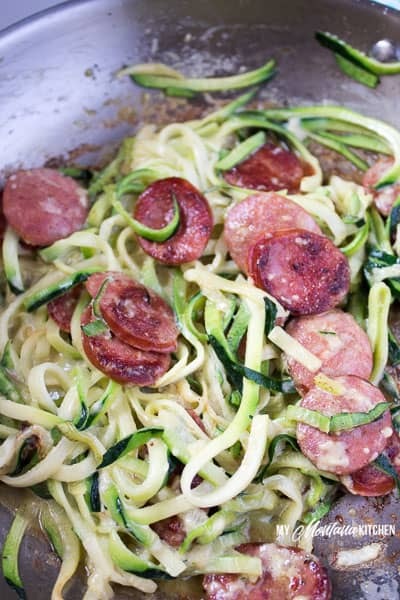 When the sausages are beginning to brown, add the zucchini noodles. Saute noodles for 2-3 minutes, until they begin to soften. Reduce heat and add heavy cream, grated parmesan and salt and pepper to taste. Simmer over medium low heat for 3-4 minutes, or until sauce is thickened a bit. 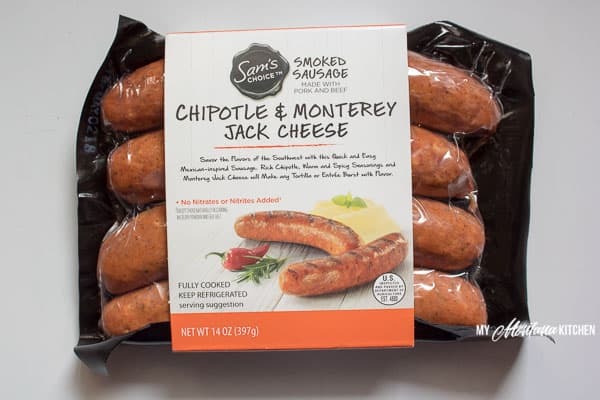 I used the Sam's Choice Green Onion Sausage in the recipe to calculate the nutritional information. Using a different sausage will change the nutritional information. The ribbon blade on my spiralizer. This will be a hit for guests! Thank you!